The asymmetrical distribution of power, political and economic opportunity in the urbanising territories of the Global South between rapid urban development and spectacular architecture driven by global financial markets on the one hand, and self-construction of irregular settlements by citizens excluded from an unaffordable property market, on the other hand, is inextricably intertwined with asymmetrical distribution of representation. That asymmetry is not limited to political representation but also is one of visually and verbally mediated representation. 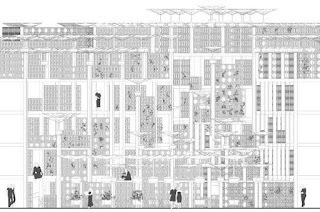 Drawing on feedback obtained continuously from the actions and experience of construction, inhabitation and improvisation, irregular settlements are inherently excluded from many key visual representations, in urban planning and policy documents, and in architectural surveys and proposals. The varied spatial and social scenarios in which marginalized residents coproduce space in the city have become objects of fascination and attraction as well as subjects of scholarly and critical studies by sociologists, politologists, geographers, urban planners and architects. At times, enthrallment with visual phenomena of irregular urbanisation has come at the expense of analytical rigour and human empathy; for example, Tim Hecker has denounced as “Slum Pastoral” Rem Koolhaas’ aerial study of slums in Lagos. On the other hand, the reliance of other studies on exclusively or predominantly verbal narratives forgoes the potential of visual means of thinking and communication to draw in participation from the inhabitants of irregular settlements themselves. 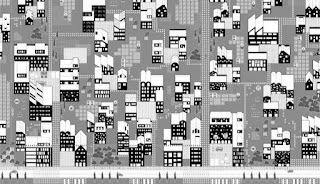 The favela is the city: a space syntax approach to design and bottom-up urbanism Contemporary analytic approaches consider buildings and cities as evolutionary processes, providing valuable support to design. However, in environments that are shaped by self-organising communities, the Western model of the designer generating master-plans and the analyst providing evidence-based knowledge is not applicable. This means that existing paradigms of design need to evolve to alternative options. This has led to two positions regarding the source of design ideas. One side places the origin of ideas in the creative genius of the designer. The second side maintains that human environments come into being through multiple actions over time, implying that the sources of design are socio-economic factors that need to be disclosed by the designer. The knowledge which evidence based approaches generate is usually of the second kind, and has been traditionally used to support conceptions of the first kind. None of the two positions is powerful enough to claim social agency for architects, nor do they deliver long-term benefits for rapidly urbanising communities and their inhabitants. Taking Rio de Janeiro as an example, this presentation proposes a paradigmatic shift in design and the use of analysis in spatial interventions. The presentation is structured in two parts: the first part discusses the morphology of Rio and its informal settlements. It shows that settlements without regulations and state-provided infrastructure develop support structures that are dependent on their physical and social networks. 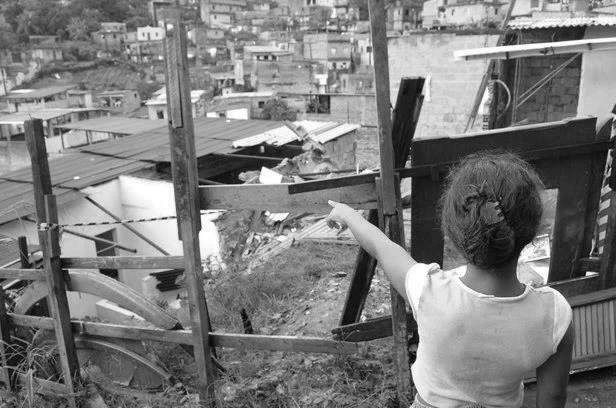 The second part discusses design examples in which analytic knowledge about spatial and social networks is embedded in informal settlements through bottom-up urbanism. We argue that producing design and analytical knowledge is different than applying knowledge and implementing design decisions. We need paradigms that respond to the complex relationship between knowledge of the city and acting in the city. These paradigms should take into account modes that are more diverse than the traditional Western model of urban production, such as collaborative agencies, systemic environments, and rapidly urbanising contexts. Dr. Sophia Psarra is Reader of Architecture and Spatial Design since January 2011, Director of the Spatial Design Architecture Cities (SDAC) MSc Course, and Associate Editor of the Journal of Space Syntax. Her research interests are in the area of conceptual and perceptual spatial characteristics and their relationship with patterns of movement, use and cultural content. The dynamics of urban change confront Indian cities with challenges of scale. To develop strong feedback loops that support governing bodies’ need for quick responses with usable information, the graphic portrayal of information, and the integration of its production in the research workflow, play critical roles. 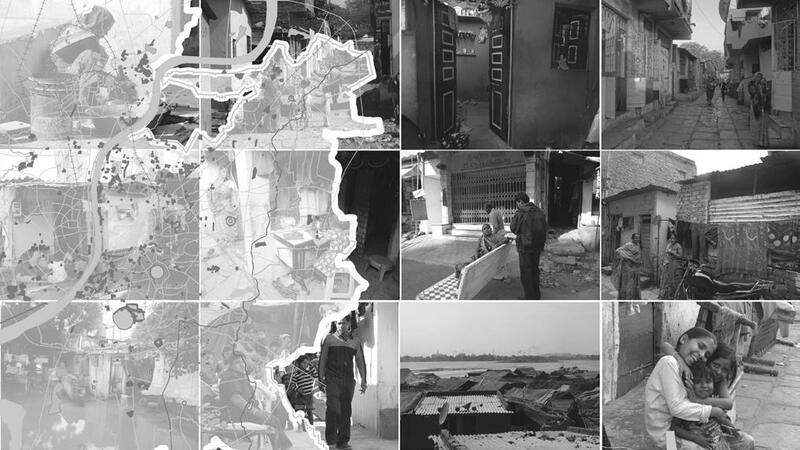 The Ahmedabad Slum Atlas was developed for the Ahmedabad Municipal Corporation, to facilitate programs that could improve the lives of people who lived in the city’s slums, by mapping critical information about those slums. 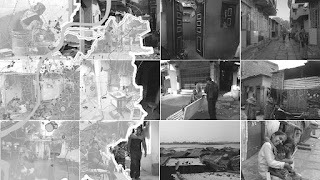 A city-wide survey undertaken by the Ahmedabad Municipal Corporation documented the existing condition of every home in every Ahmedabad slum, from construction type to water and sewerage connections, toilet accessibility, and detailed demographic information at household levels. As part of this project, the research team linked findings to a GIS map that could be updated whenever information changed. 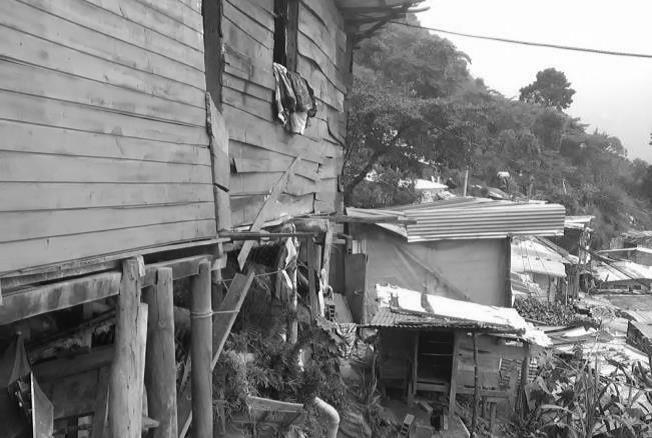 The data collected provided comprehensive information about each settlement, but because of the number of slums and their population, the amount of information was unwieldy for policy makers and politicians. Faced with the problem of providing meaningful, usable information for an immense number of settlements—over 800 in total—in a quickly comprehensible format, the Slum Atlas was designed to efficiently provide a window into the material catalogued in the survey. By juxtaposing critical information and maps of relevant data with photographs and scaled settlement plans, it could generate a more robust characterization of these dynamic places in the city in a way that both allowed comparison and could also demonstrate unique aspects of each settlement. The project team comprised of CEPT University researchers, led by Dinesh and Meera Mehta, the Ahmedabad Municipal Corporation, Mahila Housing Trust, and the RAY Project Surveying team. Banduk Smith Studio led the design and coordination of the atlas. Melissa Smith is an architect and urban planner based in Ahmedabad, India, and co-founder of banduksmithstudio, an architecture, urban design, and research practice which engages contemporary Indian contexts through research and built projects that explore material and processes of making. She also heads program development for the Bachelor of Urban Design at CEPT University. Her research interests generally follow how inhabitants tend to restructure their built environments over time. In Latin American countries, the process of democratic consolidation is complex because of the inequality found in these societies. Often, the State does not effectively fulfil its role in the way of guaranteeing basic rights, such as economic and social rights, generating a situation of incomplete enjoyment of citizenship. Based on this approach, the presented analysis investigates the situation of the enjoyment of economic and social rights in the urban peripheries of large Brazilian cities at the beginning of the 21st century. To make the analysis of the deficiency circumstance mentioned above, it is proposed to create an index, the IDES – Index of Enjoyment of Economic and Social Rights. In addition, the study aims to observe the changes that occurred in the scenario of the enjoyment of economic and social rights between the years 2000 and 2010 in the urban peripheries. To carry out this task, three case studies were developed in peripheral neighbourhoods of Salvador, in Bahia, and Recife, in Pernambuco. The research has been carried out through observation of the actions of three fundamental social actors, the organizations of society, the State and the market, in policies and projects in favor of the enjoyment of economic and social rights by the local population. Thus, on the basis of the trisectoral alliance model, I proposed a new variation in the performance of these three actors that favours the increase of the enjoyment of economic and social rights in urban peripheries: the trisectorial community alliance. Ouro Preto is a UNESCO World Heritage Site in Brazil. House facades, monuments, street layout and other urban structures are preserved in their architectural form to enhance aspects of historicity and artistic expression. However, the preserved sites of Ouro Preto, its city centre in special, house mainly temporary publics – tourists and students – while most permanent residents live in informal and precarious urban settlements. House owners, who face the danger of landslides and demolition due to stiff architectural regulations, have creative ways to adapt to preservation policies: for example, they follow colonial layouts in the making of houses (windows, sills, doors, house colour), even though they live in the city outskirts. Considering the case of Ouro Preto, this presentation looks at the city centre, investigating to which extent city aesthetics are a legitimate concern in the face of housing shortage. Further, focussing on informal urbanism in the outskirts, I ask the question: can houses and neighbourhoods that look “right” gain access to legal ownership? Andreza is a Post-doctoral Research Associate at Urban Transformations, Department of Anthropology - University of Oxford. Her activities include coordinating Newton funded ESRC cities research projects in Brazil, China, South Africa and India. Before arriving in Oxford she obtained her PhD in Social Anthropology at the University of St Andrews, MA in Social Sciences at the University of Freiburg, University of KwaZulu Natal and Jawaharlal Nehru University, and a BA in Political Science at the University of Brasilia. 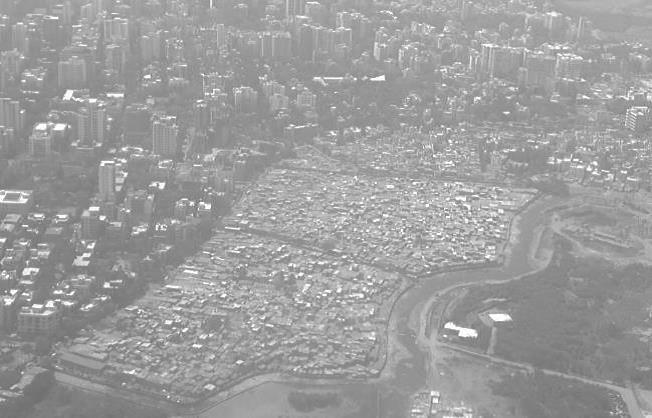 Despite Gilbert's recent identification of the ‘return of the slum’ as a dangerous trend (2007), scholars such as Rao (2006) assure us that there is a broader theoretical interest in applying the term ‘slum’ in a normative sense, as it offers a new analytic framework for understanding the global cities of the South. Using the recent politics of large-scale slum evictions in Indian cities, this paper explores this tension, asking if a theoretical return to slums can help generate new narratives of poverty, serving as an important site in which historiographies of neoliberalisation in the global South can be unfolded and addressed. It underscores the need for a new direction in collecting ethnographies of the urban poor in India as they negotiate the current political and policy drive for creating ‘slum-free’ cities, conscious that the resulting spatial articulation could possibly reveal how formal and informal geographies connect with each other in increasingly multiple and complex ways. As this paper argues, what is needed in the context of contemporary urban change involving harsh and often violent slum eradication strategies is perhaps not ‘slum as theory’ but a sincere engagement with in-depth, empirical case studies that clarify much of the uncertainty surrounding the spatialisation of urban poverty. Having initially trained in architecture and urban design, Pushpa completed her PhD in Planning from the London School of Economics. She is a co-director of the UCL Urban Laboratory as well as a disciplinary editor (Geography) of the CITY Journal. Since 2003, she has been conducting ethnographic research in the Indian city of Chennai, covering a range of issues from middle-class activism to slum evictions and resettlement. 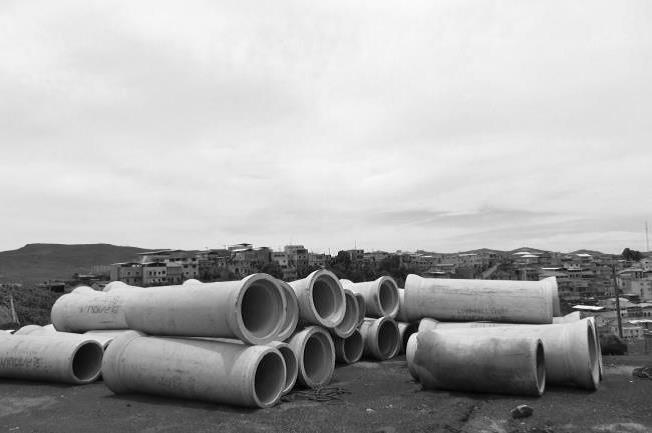 She has more recently begun to reflect on the meta-theoretical implications of her investigations around the question of specificity of cities, and what kind of analytical conclusions one can draw from Chennai extending to the wider debates in urban studies. India has committed to long-term adaptation to climate change and risk related issues to informality with centralized plan and policies. Megacities like Mumbai have eco-sensitive areas known as Mangroves and rivers, and are systematically encroached into informal housing (Slums), which are impending risks of environmental disasters. Based on an empirical study, two slums communities- one located in an estuary condition at Ghazdar Bandh, and another in a high densified area in Sakinaka which is along Mithi River shall be studied. Both the slum pockets have difference physical circumstances and different evolution pattern. 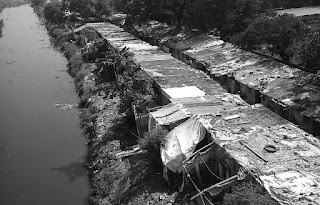 Hence the generic strategies towards slum rehabilitation and restoring environmental system need in-depth study of such individual slum communities and imperatives of its formation. The study shall argue the significance of local understanding of risk and attendant responses especially in informal settlements in environmentally fragile conditions. The operative surgery is often challenged with several localized complexity, namely relocation and livelihood. Perhaps it is necessary to comprehend the social, economic and environmental equities in order to arrive and any conclusive strategies. The role of an Academic space is to investigate the short term and long term strategies which in turn shall emphasize the mitigation, adaptation and environmental recovery with help of NGO working in local areas and institutional and professional working in research on informality, interdisciplinary understanding of intangible issues of communities and risk factor along with policy makers. Prof. Manoj Parmar is a practicing architect based in Mumbai. He has worked on numerous private and public housing/ institutional commissions across the country. He is currently the Dean of Post Graduate Program at KRVIA, MUMBAI. He has been associated with the institute 1992. He was involved in URBAN LAB+ consortium, funded by European Union, debating and discussing issues of urbanization with tools of urban inclusion and intercultural practices. He is also part of BINUCOM project led by Krems University, Austria, funded by EU. The BINUCOM project deals with informality and issues related to Social Inclusion, Sustainability, Participatory Approach and Environmental Risk. MUI Medellín Urban Innovation (MUI) is a research collaboration between academic and non-academic institutions in the United Kingdom and in Colombia. It is a two-year project that received a Newton Institutional Links Grant from the British Council. The aim of the project is to evaluate through scoping research and knowledge exchange, to what extent urban innovation in Medellín (Colombia) has helped increase social equity and well-being in the city. Resilience Urbanisation continues to drive the growth of informal settlements on land exposed to hazards, increasing risk particularly among low-income populations, and heightening the need to improve the resilience of such communities. Informal settlements growing up steep hillsides and ravines are particularly exposed to landslides, which are a major cause of death in developing countries. In order to reduce disasters, we need to anticipate these through managing risk. Many ways of managing landslide risk are known, ranging from building physical protection barriers to raising awareness to prepare communities. However, in developing countries these measures are often difficult to implement, not only because of lack of resources but also due to complex social, economic, political and institutional reasons. This project aims to explore the scope for, and acceptability of, landslide risk-reducing strategies for informal settlements from the community and state perspectives; to understand the barriers to landslide risk-reducing strategies; and identify politically and practically viable approaches to landslide risk-reducing strategies within a wider and more complex context of social and physical risk. This research is funded through the Global Challenges Research Fund (GCRF) Resilience Foundation Awards. MUI and #Resilience are led by Dr Soledad Garcia Ferrari, at Edinburgh School of Architecture and Landscape Architecture (ESALA) and Dr Harry Smith at EGIS, Heriot-Watt University. Dr Helena Rivera is a researcher working with The University of Edinburgh and Heriot-Watt University on both of these projects. Helena is a chartered architect in the UK. She is founder and Director of A Small Studio, which is a research-led architecture practice in London. This paper explores a potential methodology for urban interventions in historic city core areas. These traditional urban structures are currently facing external influences, rapid development, and hard socio-economic pressures. 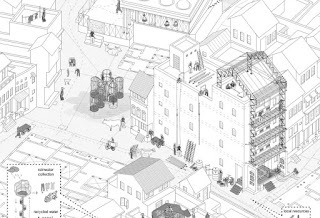 In contrast to renewal programmes that ignore the existing architectural and cultural heritage, this project proposes a number of innovative strategies to regenerate traditional public space: a catalogue of urban tools that resolves the lack of infrastructure (water, drainage,…) and preserves the traditional way of life by improving the quality of public space. The Pols (housing clusters) of Ahmedabad are regarded by historians, architects and urban designers as one of the finest surviving examples of urbanism and domestic architecture in Indian tradition. They represent a beautiful manifestation of compact and climatically responsive urban settlements where the past and the future are still able to coexist. 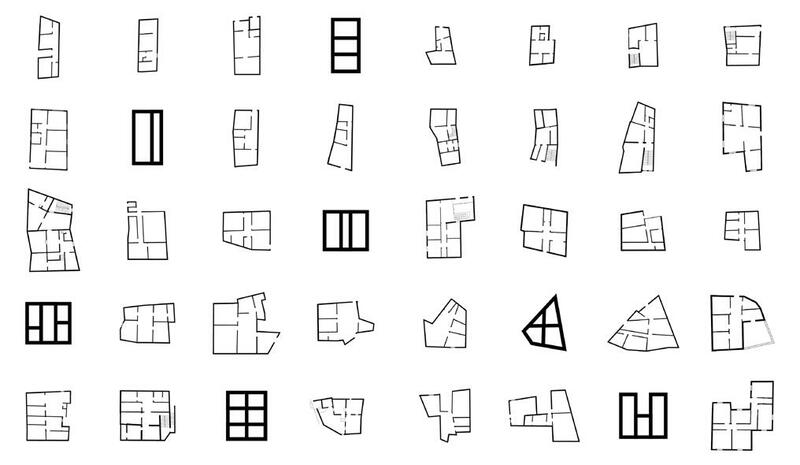 Analysis of the tissue reveals the need for small-scale interventions to regenerate existing space. Five study cases have been identified as representative sites to implant a network of interconnected devices that positively transform and reorganize these scenarios. These artefacts have been designed to harness local resources, materials and technologies, with high commitment to social and environmental sustainability. In the Pols, community life is closely linked to the urban morphology and, for this reason, the proposal tries to restore the identity of public space as a place for daily activities and social interaction. A flexible and adaptive system has been conceived to manage urban contexts with similar complexity. Every renewal in the urban core has to be focused on natural, social and cultural resources, on sustainable local technologies, and on individual and collective values. The final purpose of this research is to empower and increase the capacity of society to develop the required skills to build its own future. Almudena Cano Pineiro is an architect educated at ETSAM Madrid and a winner of Archiprix 2013. She currently is in the final year at the RCA London of her PhD research on Supports for Community Life: Tools and Prototypes for Urban Fabric Transformation. El Vergel, Informal Settlement in the ravines, Valparaiso. Photograph by Lautaro Ojeda. 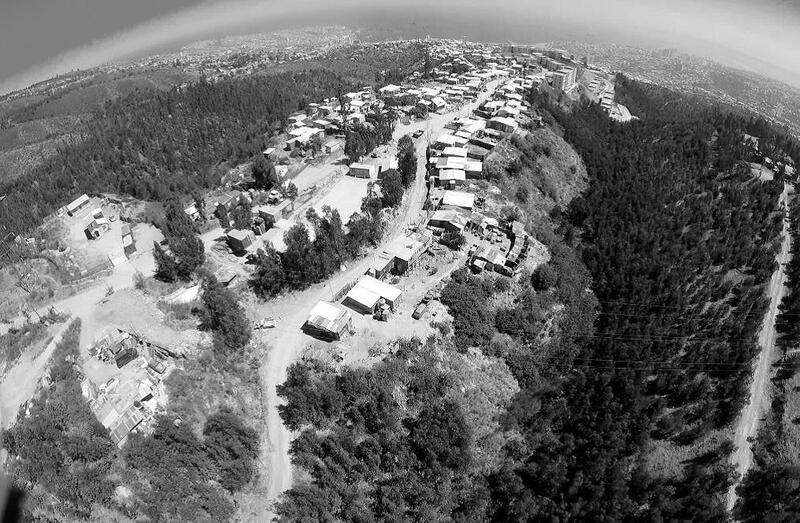 This presentation analyses urban informality and its complexity in the city of Valparaiso, Chile, revealing its main components to generate comprehensive elements in a triad of dimensions: informal public space, informal economy and informal settlements. Methodologically, to analyse this Triad of informality, we have established a type of observation and analysis specific to each territory that combine tools of architecture, urbanism and ethnology to reveal and understand this complex reality from its inhabitants and workers. Likewise, this paper offers the findings from interviews to the dwellers of informal settlements and informal workers and reveals the main reasons that led to such occupations: successive earthquakes and family mobility, lack of job opportunities and family legacy of street working. 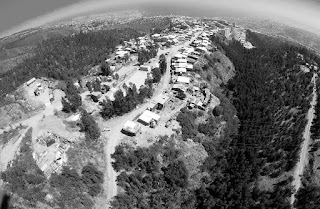 Lastly, this contribution develops the concept of "Family Residential Complexes" (FRC), which is the particular name given to the occupation or invasion of land in Valparaíso ravines and “urban street stress” which is the particular name given to the occupation or invasion of the street by informal workers. Lautaro is an Associate Professor at Universidad de Valparaiso Chile, School of Architecture (since 2005). He also is Director of CINVIT UV (Research Center of Vulnerability and Territorial informalities). His specialisms and research interests are on urban public policies in the context of urban design and civic development, Informal settlements, informal appropriation and informal economy, senior citizen mobility and appropriation of urban space. He the principal researcher of FONDECYT N°11140546 "Study of informal urban appropriations. Creation of dialogic tools for the design of participatory planning strategies. The case of the conurbation of Valparaíso and Viña del Mar," funded by CONICYT-Chile (2015-2018). Towards an operational narrative for autonomous processes of urban production - an on-going journey from India to Vienna . 01. As architects and urban designers, to be confronted with AUTONOMOUS PROCESSES OF URBAN PRODUCTION (initially in the form of informal settlements in the West-Indian context and later in other forms, including in European cities) has changed our views about the city and its making. 02. One of our main points of interest has been since 2006 the NARRATIVE OF AUTONOMOUS PROCESSES in the framework of architecture and planning, very much aware that these questions represent only a very small aspect of the much broader and more complex topic of so-called informal or irregular settlements. 03. How can we INTEGRATE THE UNPLANNED INTO THE ARCHITECTURAL PLAN? Which are the tools and architectural narratives? 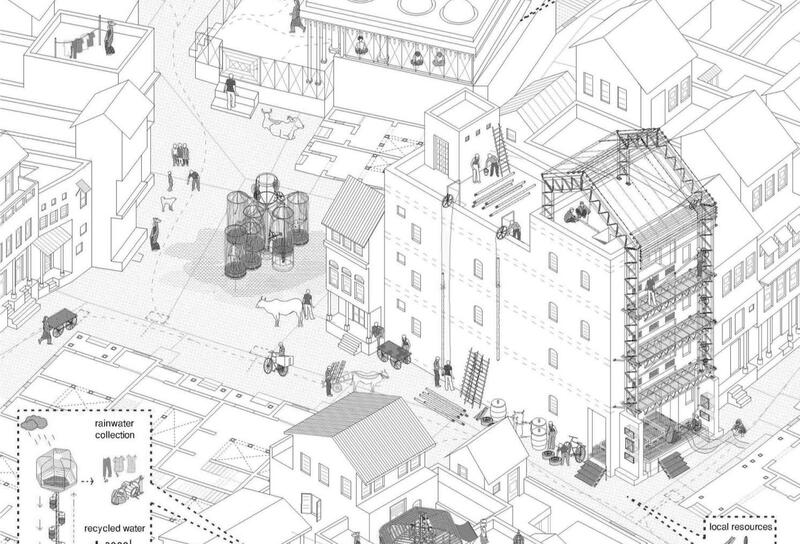 Which is the role (if any) of an architect in processes of informal production? 04. Teaching and research at ETSAM have been an important platform, through a dozen workshops in India, several studios on informal environments in Spain, and theses on instruments for informal developments. We have been able not only to integrate informal processes into the realm of the planned, but also to REFORMULATE ARCHITECTURE ITSELF into a more inclusive trans-disciplinary set of capacities. 05. These questions have resounded deeply in our professional practice, in which we have been able to apply knowledge obtained from our study of informality. The inclusion of AUTONOMOUS DEVELOPMENT PROCESSES, SMALL-SCALE STAKEHOLDERS and B-SIDE URBAN PLAYERS have been a constant in our projects for urban developments in Spain, Austria and Sweden, helping us to formulate alternatives for the highly inefficient and unsustainable ways of peripheral urbanization in Europe. 06. We have come to the conclusion that there should not be different ways to plan “the informal and the formal city”. 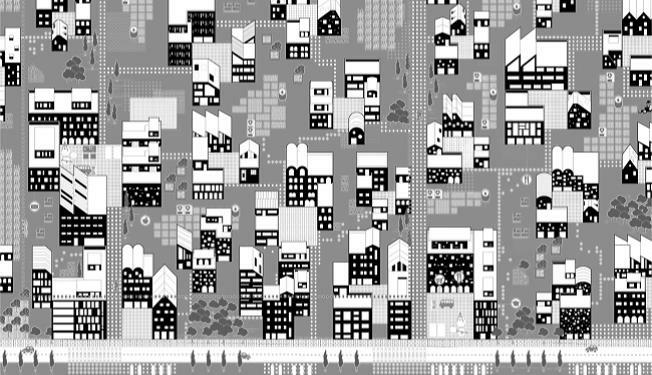 On the contrary, COMPLEX MULTIPLAYER MODELS are always completely necessary for any urban development, able to include the autonomous urban producer into the game of city’s production. Luis Basabe Montalvo is founding partner of arenas basabe palacios arquitectos. Their work has been recognised by an Holcim Award Bronze 2014 and six winning projects in the Europan Competition. Luis is Profesor Asociado for Architectural Design at ETSAM (Madrid), and Visiting Professor for Architectural and Urban Design at Politecnico di Milano since 2014. In a series of collaborations with resident academic and community partners we have documented four communities, each exemplary for a particular model and context of development, located in Jordan, Thailand, India and Chile. Jabal Al Natheef, Amman, Jordan was first settled in 1945 by refugees from Palestine. Today it is home to migrants from Karak, Jordan, Iraq, Sri Lanka, Egypt, the Philippines, Gypsies and Circassians. It overlooks the city centre and the sprawling expanse of. It is disconnected from the centre by a lack of infrastructure and disadvantaged by sever socio-economic problems. 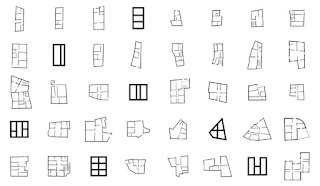 Our analysis of the area known as the “upper camp” comprises of seven parts: First, documentation of urban fabric, through a figure ground plan and street elevations; second, representation of the ground level as a continuous “Rossi” plan, following the conventions established by Aldo Rossi’s 1972 plan of Zürich; third, typological analysis, fourth, a survey of housing typologies recorded in plans and three-dimensional representation; fifth, a series of interviews capturing the personal stories of inhabitants,, conducted in conjunction with a statistical survey; sixth, an examination of shared spaces, their physical characteristics, and interpretations of their usage; and finally a detailed study of a group of houses, the network of alleyways, courtyards and interconnected rooftop terraces, in conjunction with the social relationships produced and sustained by these spatial arrangements. Our field work was accompanied by seminars and conversations on methodology, and by Skype interviews with “critical friends” contributing expertise in political and social sciences. Christoph Lueder is a graduate of the Universität Stuttgart, Germany and currently associate professor of architecture and urbanism at Kingston University London. Alexandru Malaescu is a graduate of the Universitatea Timisoara, Romania and of Kingston University London; he currently works as an urban designer and independent researcher in London. Iulia Fratila is a graduate of the Universitatea Timisoara, Romania and of The Bartlett, London; she currently works as an urban designer and independent researcher in London.